This is beautiful set makes for a perfect new baby gift! 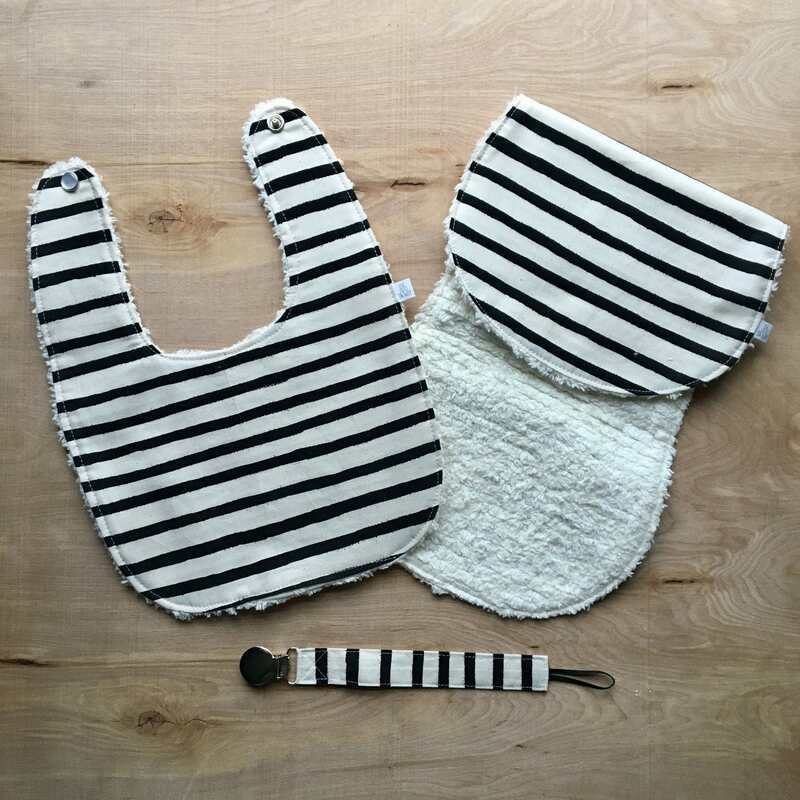 The bib and burp cloth have been lined with a soft and absorbent cotton chennile, and fitted with a pearl snap. The coordinating pacifier clip has been fitted with an alligator clip that is metal (nickel-plated) and has plastic teeth, and measures approximately 7" in length. Pacifier is secured using an elastic loop, making it able to work with any brand pacifier (nuk, soothie, mam, gumdrop, etc. ).